Last time had my joystick made by taking apart a thrid party 360 controller, the analog triggers were not wired. Now my stick builder is using a Cthulhu, and I’ll try converting ps2 to Xbx one and PS2 to Xbox 360 and finally PS3 USb to Switch and see if those work. if they do. I’m fine if not Bork Universal USB. My friend wants a fight stick for an Xbox One, and someone recommended, an official Xbox One PCB. But my guy doesn’t know how to do analog sticks. 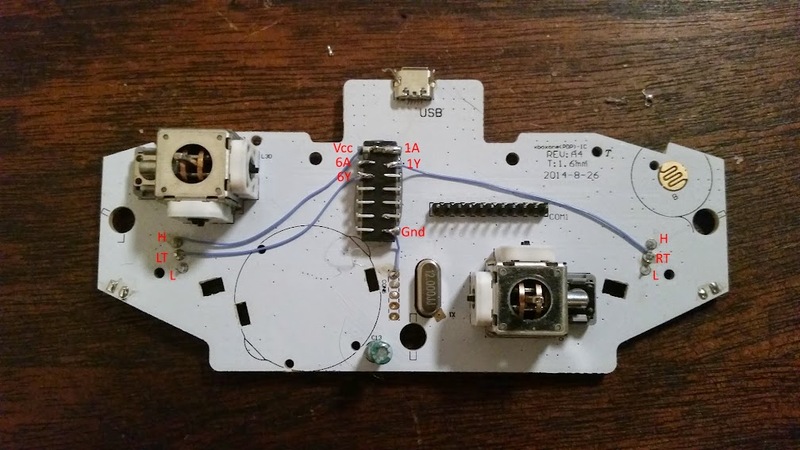 Will the official Xbox ONE PCB let you wire digital buttons to LT and RT for someone who just knows basic stick making soldering, meaning I can’t convey well enough for him to understand the way to do digital wiring of analog triggers? Is the Power A Enhanced Official Xbox One Pad an easy to hack stick? If so, then all you have to do is program the 2 ring finger buttons to be the triggers, ( How do I know, I did it) and you have easy to wire digital buttons as 3P and HP. 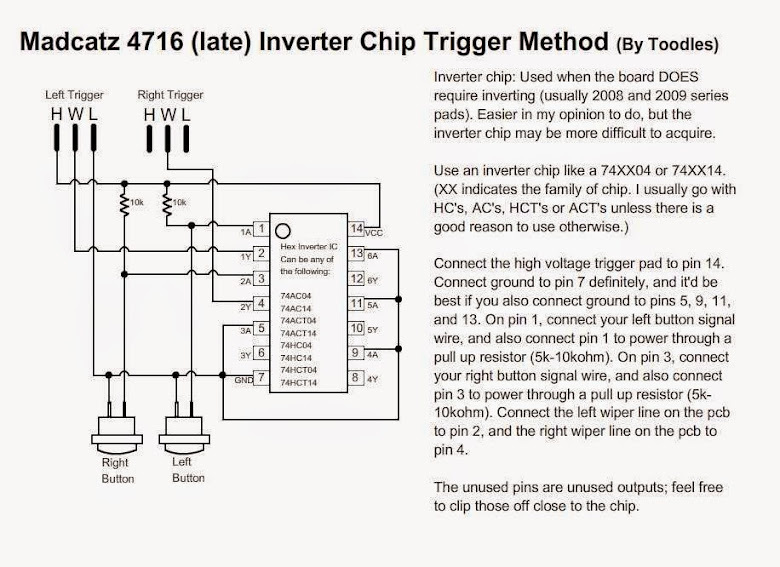 If he doesn’t understand how to do the digital wiring of an analog trigger, would this be a good solution, or does the pad have to many problems? It’s also cheaper at $30 retail, vs $40 for an official Xbox One PCB. The game software (and MS Windows on the PC) will still register the triggers as triggers and not button presses. PhreakMods CROSSBONE PadHack PCB. XBOX ONE pad hacking made easy. Since the triggers on all three pads are active high we will need to add a hex inverter to make them active low. We can reuse the same method that was used on the madcatz 360 pads that also had active high triggers. Note that in Toodle’s schematic he used the A/Y pair 1 and 2. I will be using pair 1 and 6 to make wire routing easier. I’m using the 74HCT04N chip. Pins are labeled. I’ll be using the dead-bug setup. Since its on its back all the pins will be flipped. It is important to remember this. 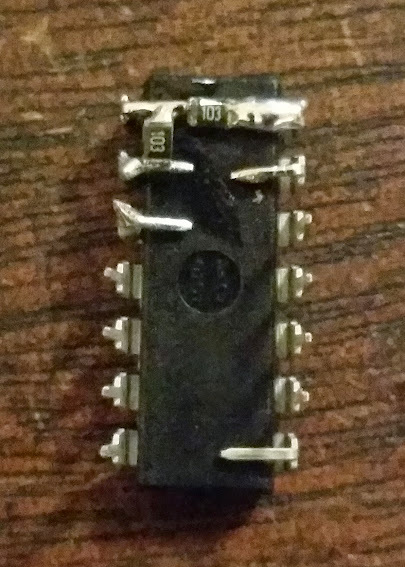 Here is an example of the 10k ohm resistors soldered to the pins. Her is an example of 10k ohm SMD resistors soldered instead. 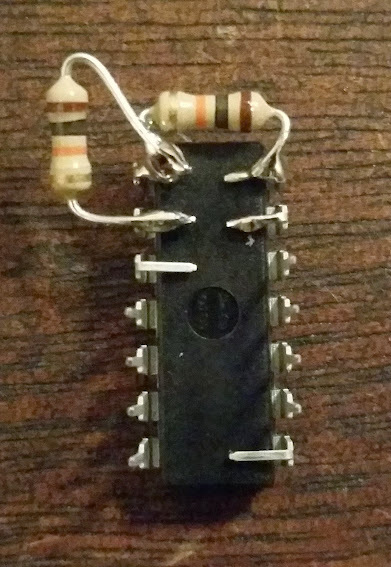 Example of how it would be wired up to a Rockcandy pad. 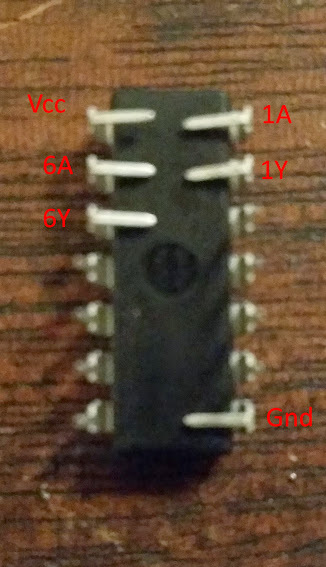 1A would be wired to the sticks RT button and 6A would be wired to the sticks LT button. @darksakul, you kind of ignored question number 2. I have a pad with “ring finger buttons” which can be defined as A, B, X, Y, LB, RB, LSB, RSB, LT, RT, and any cardinal direction on the D-Pad. I tried setting the LRF and RRF as LT and RT, and both worked. And i believe they are digital buttons. 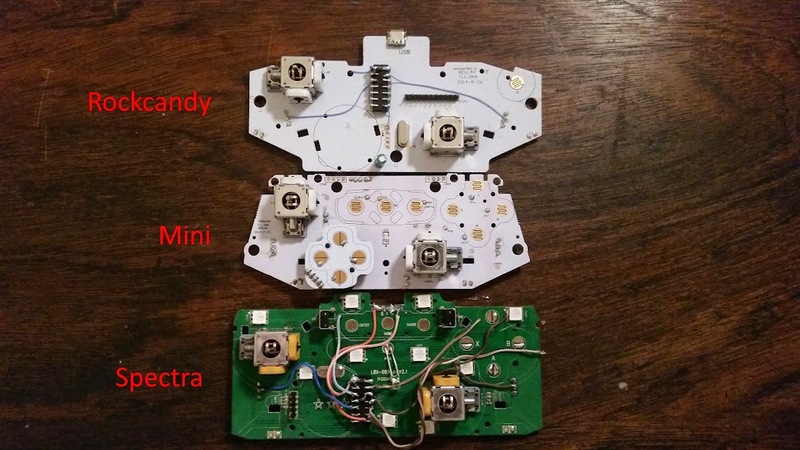 So is wiring a Power A Enhanced Xbox One controller the same as any other PCB? Do you like my solution of defining the 2 extra buttons as triggers, and have them actuate an analog as a digital? I’ll be sure to bring this up to my fight stick maker. But if he doesn’t understand this, would my solution work? And i believe they are digital buttons. and have them actuate an analog as a digital? Does not matter what the button wired as, but how the software decides to see them as. Microsoft wants the RT and LT to always behave like analog triggers, even if their a digital button acting as those triggers. Its the same for every single Xbox Controller ever, Even the Adaptive controller. 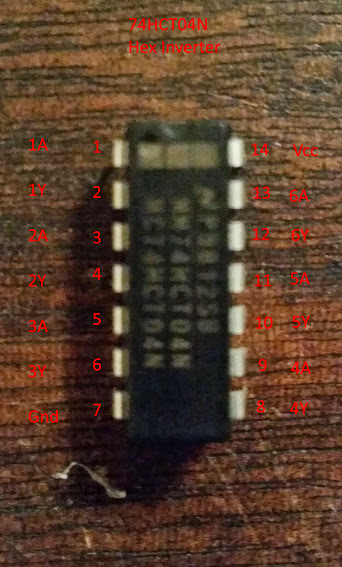 It could work, but the problem is do not expect the PCB to hold onto that memory of what those buttons can be programmed for, even if they say its saved in the PCB. It still can lose that programming. Also I don’t know if your Power A pad is common ground or not, which will upset your wiring plans. Actually, because my controller is designed with Colecovision in mind too, there are 18 inputs, 18 corresponding grounds, and one voltage pin. They can either be tied together if it’s a common ground, or can be split in any 2 ground wiring combination thought of. Hell, it can be 18 separate grounds, one for each control unit, and it would still work, if my theory works right. I suggest keep the wires internal to avoid accidental pulling or damage. There also less case modding. Generally wire the stick with a DB 25 (or something like it) going to a project Box which has your PCB inside. You can interchange PCBs and expand with forwards compatibility. PCB specific functions can be installed on the Project Box. Like the few consoles that use a number Keypad. And that eliminates trying to mount a keypad onto the stick it self.